RTI Podcast: Could There be History on Saturday? In this episode of the RTI Podcast, we sat down with Derek Terry of Kentucky’s 247Sports site to discuss the Wildcats. What’s the mood like in Lexington after Kentucky’s loss to Georgia last weekend? Is Benny Snell banged up? Who else should Vol fans be aware of on Kentucky’s defense other than star linebacker Josh Allen? 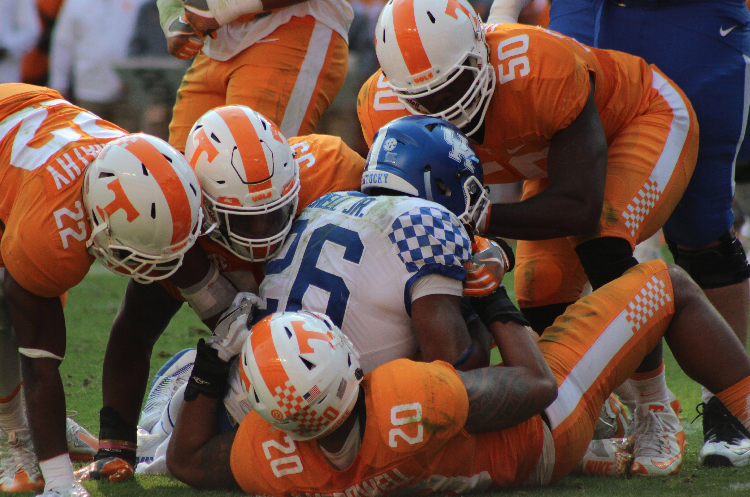 Managing editor Nathanael Rutherford and staff writer Ben McKee also discussed how many Kentucky fans are likely to show up in Neyland Stadium and went over some big recruiting news for the Vols.